I love crystal radios and since I could back to my bench a couple of years ago I’ve the opportunity to make some of that. There something fay behind its elegant simplicity… pick radio waves with only few simple components and use the energy of the radio stations to produce directly the sound you’re hearing is something wonderful to me. From very simple sets made from the junk box to high performance crystal radios all of them have its appeal. This video shows a description of how I construct a loop antenna crystal radio. 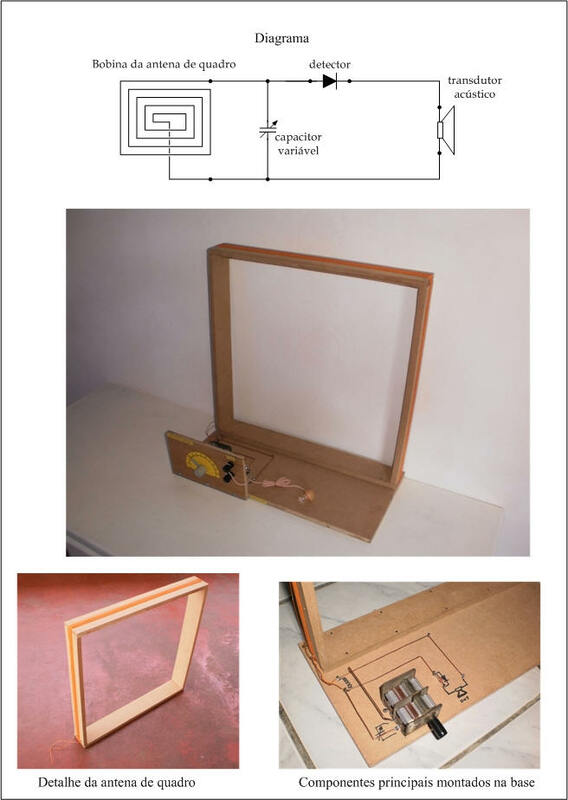 The advantage of this configuration is that differently of the crystal sets that most people know or already made, a loop antenna crystal radios works without external antenna or earth connection what give more mobility and some other interesting characteristics. Despite the simplicity of the circuit the results were very impressive. Eu adoro rádios galena e desde que pude voltar à minha banca há alguns anos time a oportunidade de construir alguns. Existe algo mágico pode detrás de sua elegante simplicidade... capturar ondas de rádio com apenas alguns componentes simples e usar a energia emitida pela própria estação de rádio para produzir diretamente o som é algo maravilho para mim. Dos rádios galenas bem simples feitos de sucata e componentes feitos em casa até aos de alto desempenho, todos tem algo de especial. Um rádio de galena simples com antena de quadro. Este vídeo descreve a montagem de um rádio de galena com antena de quadro. 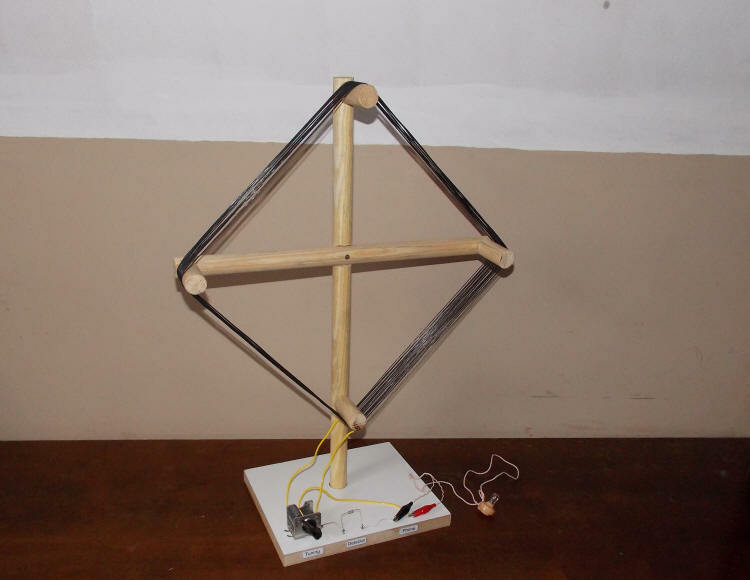 A vantagem desta configuração é que diferentemente dos rádios de galena que a maioria conhece ou já montou, o com antena de quadro funciona sem antena externa ou conexão com o terra, o que proporciona maior mobilidade e outras características interessantes. Apesar da simplicidade do circuito os resultados foram bem impressionantes. I construct this one as a “beginner’s radio” with loop antenna. I don’t know if broomsticks have the same length everywhere, but those I found had 1,20 M, which is sufficient to mount a loop with about 30 cm of side. Its small but with a simple ceramic earpiece I can get the 5 MW stations in my city. I guess it is a good “first radio” project because for children it’s hard sometimes to install a long wire antenna. Well, when I was a kid nobody cares when I was walking through the roof, but now times are different. I construct this one as a “beginner’s radio” with loop antenna. To make the frame of the antenna coil I used a broomstick. I don’t know if broomsticks have the same length everywhere, but those I found had 1,20 M, which is sufficient to mount a loop with about 30 cm of side. Its small but with a simple ceramic earpiece I can get the 5 MW stations in my city. I guess it is a good “first radio” because for children it’s hard sometimes to install a long wire antenna. Well, when I was a kid nobody cares when I was walking through the roof, but now times are different. You can view a Youtube video with some instructions of how to build this one. A horn speaker for crystal radios. Well, I can’t guarantee that if you just connect it to your crystal radio it be heard throughout the room, but it’s a step ahead anyway. Loud volume on a crystal set depends on a series of factors such good antenna, good ground, choice of a nice setup, an efficient impedance matching transformer, good construction techniques to avoid “leaks” of the signal and, of course, a fair ratio between the distance from your receiver and the power of the radio stations transmitters. In other words, “there’s no free lunch”. However there are some things that can contribute to enhance your experience to listen your crystal set. One is have a good acoustic transducer for each task. Cristal earpieces, good magnetic phones or sound powered phones for good sound quality and DX or “something” if you want to try a more loud sound. 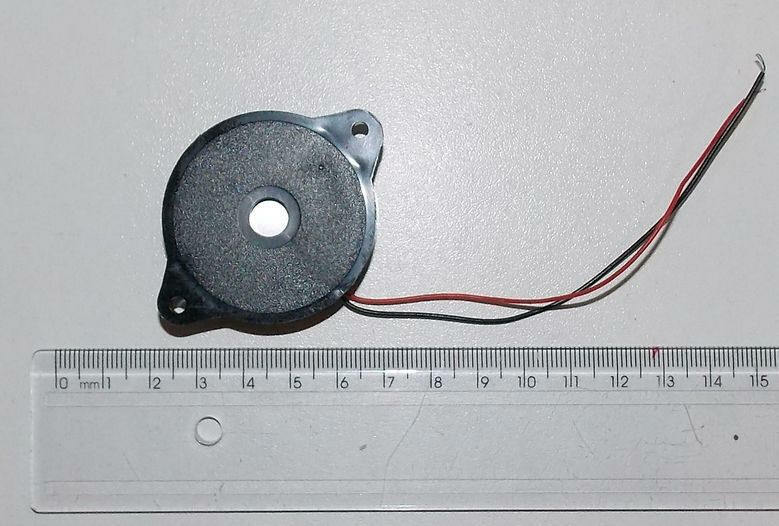 One of this “something” could be a simple adaptation of a piezoelectric buzzer to a plastic horn used in sound systems. I made this setup below. It is formed by a piezo buzzer glued on a plastic horn. As a base a small wood board can be used, but heavy enough to provide some stability. As a support for the plastic horn I used a rigid copper wire, because it’s easy to bend and to make the necessary eyelets. A butterfly screw was uses to fix the plastic horn through the eyelet, so it’s possible to positioning the horn up and down and to allow this movement coiled wires connect the piezo buzzer to the terminals. I tried different types of buzzer to this little project. The first one was a 35mm one. So I finally got this one, a Mallory PT-4176W. It’s a 40mm of diameter with a nice performance. 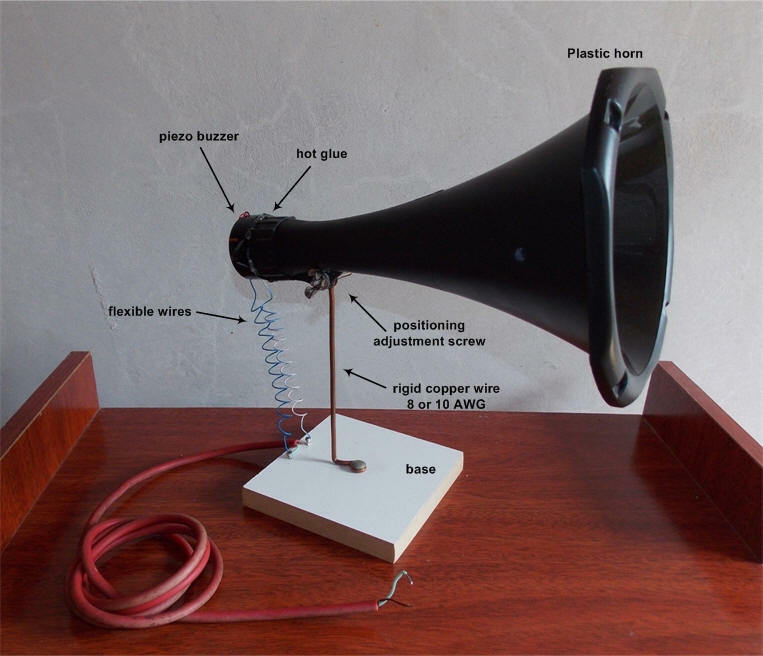 I’m connecting this piezo horn speaker to my crystal radio through an impedance matching transformer (200K input, 5K output). Anyway if you if you feel that you radio can produce some loud sound this could be a cheap and interesting option.